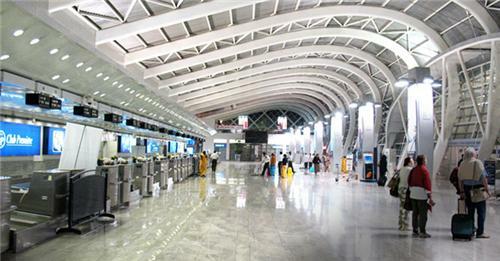 The Trivandrum International Airport is located in the city of Thiruvananthapuram in Kerala. The airport is a bustling airport located just 4 km away from the main city centre and 6 km from the Trivandrum Railway Station, which makes getting to and fro from the airport relatively easy. Built in 1932 under the guidance of Colonel Goda Varma Raja, this airport is now ranked as the 12th busiest airport in India handling well over 2 million passengers annually. Known as TRV in short, this airport was the first airport to be built in Kerala and the first international airport in India outside of the 4 metropolitan cities. The Trivandrum International Airport also serves the Indian Air Force as well as the Coast Guard for missions and operations as well as offering space to the Rajiv Gandhi Academy for Aviation for training and teaching purposes for prospective pilots. 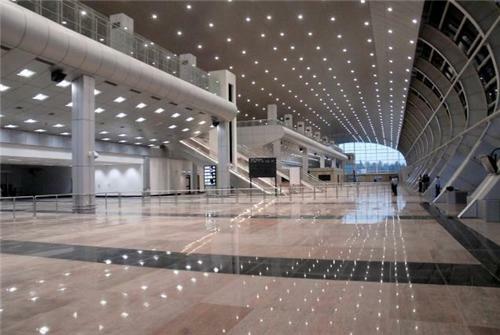 The airport comprises of two terminals 1 and 2, handling domestic and international flights respectively. The TRV not only serves the city of Thiruvananthapuram but also neighbouring cities like Kanyakumari, Marthandam, Nagercoil, Alapuzha, Kollam as well as the state of Tamil Nadu. In addition to the two operational Trivandrum Airport Terminals, a new terminal 3 has been constructed to accommodate additional aircrafts and a larger parking bay for people visiting the airport. The new terminal also boasts of faster baggage checking and claiming which has been achieved by installing x-ray machines on the conveyer belts to enable quicker bag checks and also provides check-in facilities at any counter at the terminal. Other amenities at the airport include pre and post-paid taxi services as well as counters for foreign currency exchange run by Thomas Cook. TRV is entirely air-conditioned and flyers can also avail free WiFi to use on their computers and mobile phones. Other primary facilities common to both the domestic and international terminals are a book store, cafes, a duty-free shopping mart, telephones for free local calls, recharging stations for mobile devices and lounges. The international terminal has been constructed in a slightly swankier manner with a fancy and spacious lounge and a classy décor with ample use of glass and lighting. It is larger and also offers more carousels for baggage as well as detailed customs and immigration facilities. Trivandrum International Airport also has cargo transfer facilities to cities within India and select international locations like Sri Lanka and Doha. A large number of domestic and international flight carriers operate out of this airport effectively connecting Thiruvananthapuram to the rest of the country and to countries located in the Middle East as well as the Orient including Male, Singapore, Doha, Muscat, Dubai, Sharjah, Colombo, Mumbai, Bangalore, Delhi and many, many more. These flight carriers include Air India, Jet Airways, IndiGo, Spice Jet, Etihad, Emirates, Qatar Airways, Sri Lankan Airlines and many more.